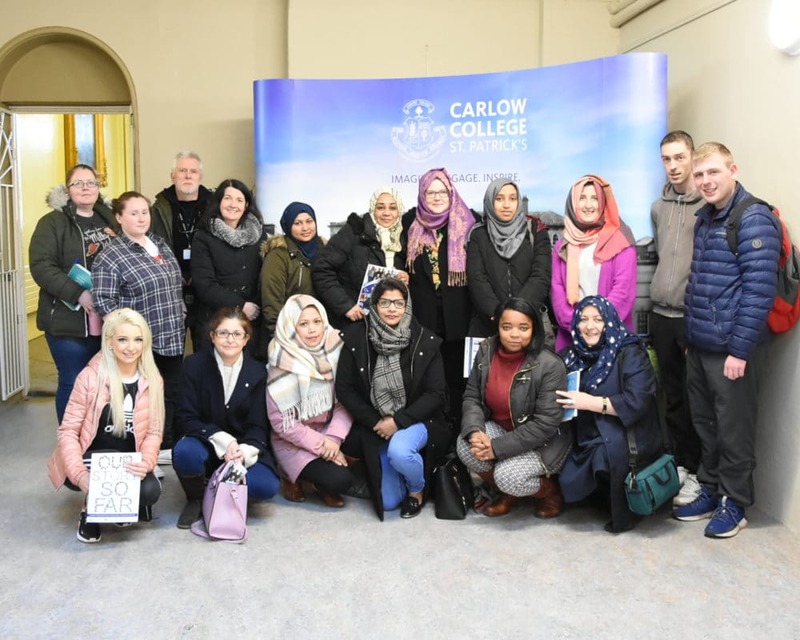 The group taking part in the Irish Human Rights and Equality Commission collaborative project between Carlow College, Carlow Institute of Further Education and Training, St Catherine’s Family Resource Center and Carlow County Development Partnership met at Carlow College on Friday, February 1st. The project will examine articles of the UN Convention of Human Rights through the lens and experiences of migrant women living in Carlow. As February 1st was both St Bridget’s Day and World Hijab Day there was a sharing of religious traditions. Which included a lesson in how to wear a hijab, demonstrating both a willingness and enthusiasm to learn and to share cultural traditions with one another.